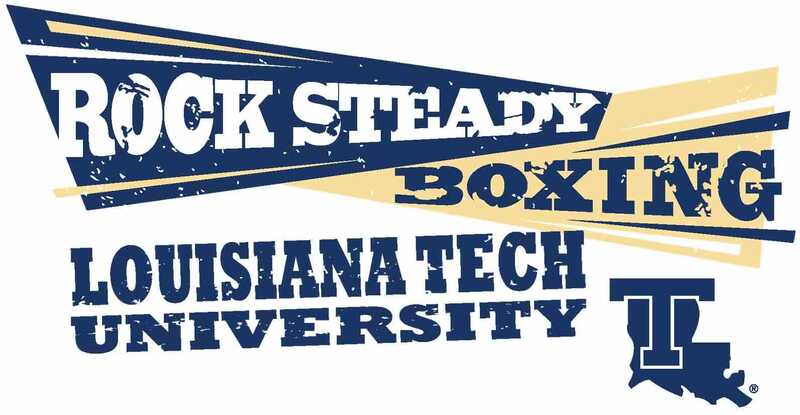 Rock Steady Boxing-Louisiana Tech University affiliate, is a nonprofit organization ran by the department of recreation at the Lambright Sports and Wellness. This program gives people with Parkinson’s disease hope by improving their quality of life through a non-contact boxing-based fitness curriculum. Parkinson’s disease is a progressive neurological disorder that’s results from the individual’s inability to produce dopamine. Dopamine is a neurotransmitter that helps regulate movement in the human body. This disease robs the individual of their independence, taking away their freedom to even do the simplest day to day task. So far there has not been cure found for this disease, however recent research has shown that forced intense exercise can slow the progression of Parkinson’s disease and reduce, reverse, and delay the disease symptoms. Boxing has been raked the number one most intense sport in the world. The forced behind the punches and the high intense training are the methods that are used in the Rock Steady Boxing training curriculum. Every workout is full of power, agility, strengthening, mobility, and flexibility exercises. Of course, each workout has a boxing element as well. Our boxers use a variety of boxing equipment including heavy bags, speed bags, wave masters, box master, agility ladders, hurdles, tires and more. Our boxers are athletes and they come ready to fight every day. Our program has shown tremendous results. It has allowed these individuals to gain muscular strength, muscular endurance, improve balance and hand eye coordination. This program helps these individuals regain their independence and freedom that was once lost to the disease. Our mission at Rock Steady Boxing is empower people to fight back against Parkinson’s disease. The funds for this project will be used to create a memorial garden at the Lambright Sports and Wellness Center. This garden will be in honor of those fighting back against Parkinson and tribute to those that have already lost their battle to this life crippling disease. The Parkinson’s Disease Foundation estimates that there are more than 1 million people in the United States alone are diagnosed with Parkinson’s disease, while every year another 60,000 more people are diagnosed. We believe that this memorial garden will provide hope for those that live with this disease and will empower them with the courage to fight back against Parkinson’s.